Engineering Exploring Post 1919 roared to life in Easton, PA on Wednesday October 18th, playing host to more than 100 students and parents at its inaugural open house. 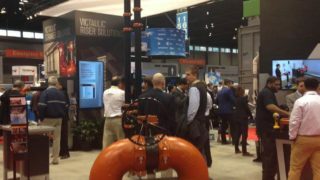 Established to provide opportunities for local high school students to engage with professional, passionate engineers through hands-on activities, Victaulic is leveraging its world-class capabilities to provide training, inspiration and guidance to the next generation of innovators. With a curriculum built around fun, experience-based learning on topics such as Engineering Design, Mechanics, Manufacturing Processes, Material Development, and Electronics, the volunteers of Post 1919 will deliver a well-rounded program touching on many facets of engineering. Students will develop STEM skills as they collaborate with class mates from across the Lehigh Valley to construct bridges, catapults, water clocks, penny boats, and take part in a “Rube Goldberg” challenge, to name just a few of the activities in store this year. 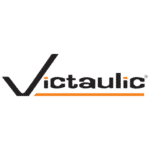 Victaulic has a rich history of developing engineers who deliver the most advanced technology available, who are collectively responsible for more than 2000+ global patents, and who have transformed industries for nearly a century. It is an honor to share that knowledge and experience with local communities and provide extracurricular STEM support helping students connect to careers. Come out and explore careers in engineering for yourself. Post 1919 is open to area high school students who want to experience what a career in the field of engineering has to offer. The program will begin November 1 and run through April and students can join at any time. Sessions are not cumulative, allowing the program to stay flexible and provide opportunities to students who may have limited availability. Students can miss a session without skipping a beat. Email us at Post1919@victaulic.com for more details.